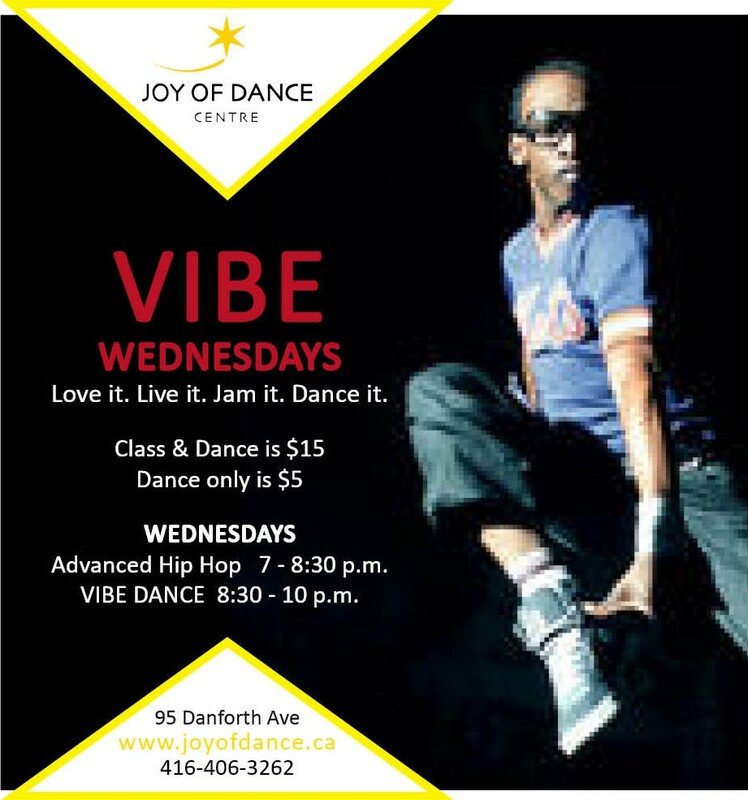 Joy of Dance is turning up the heat with VIBE Wednesdays hosted by the Creative Director and Producer of Urbanesaque, Hollywood Jade. Hollywood Jade is one of Toronto’s fastest rising entertainers. As a dancer, choreographer and innovator in his art form, Hollywood brings his own brand and style of dance to videos, stages and the big screen. His work has been showcased on major television networks like MuchMusic, BET, MTV, CTV and NBC as well as on short films, corporate events, artist performances and numerous dance videos. VIBE Wednesdays start June 26, 2013. Take an advanced Hip Hop Class from 7-8:30 p.m. and then VIBE it out until 10 p.m. Hang out. Jam it. Dance it. Drop it likes it’s hot! Joy of Dance Centre and Teachers College is dedicated to all things dance Located at 95 Danforth Avenue, Joy of Dance is easily accessible by public transit. If driving, public and street parking are available.